Alto Forno is a chic, urban bar and lounge located in Peabody, Massachusetts. 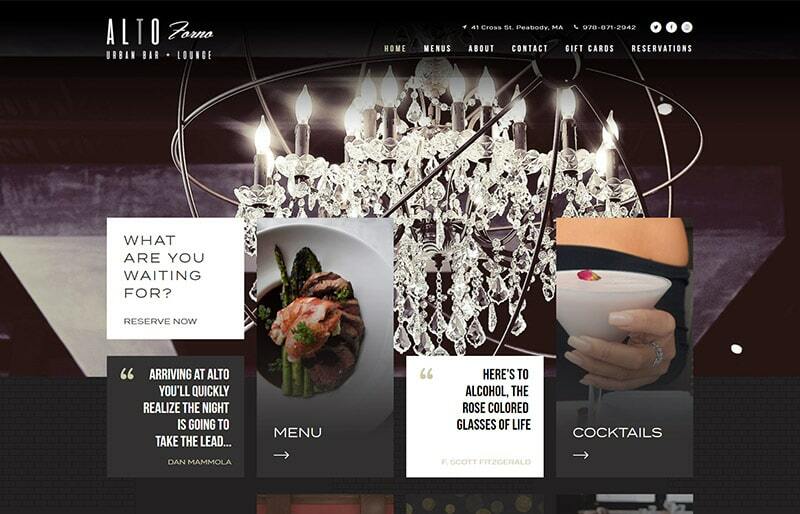 They offer elegant food, artfully crafted cocktails and a hand selected wine list. All this, combined with its not so subtle dinner music, guarantees an evening out unlike any other. GoingClear Interactive worked with Alto Forno to complete the design and development of its new website. There are a lot of great features within Alto Forno's new site including a sticky header, subtle animations, a unique grid style layout, and a smooth swipeable food & cocktail slider. We also integrated an Instagram feed, a PayPal page where customers can purchase gift cards, and Google Maps with a custom map marker. 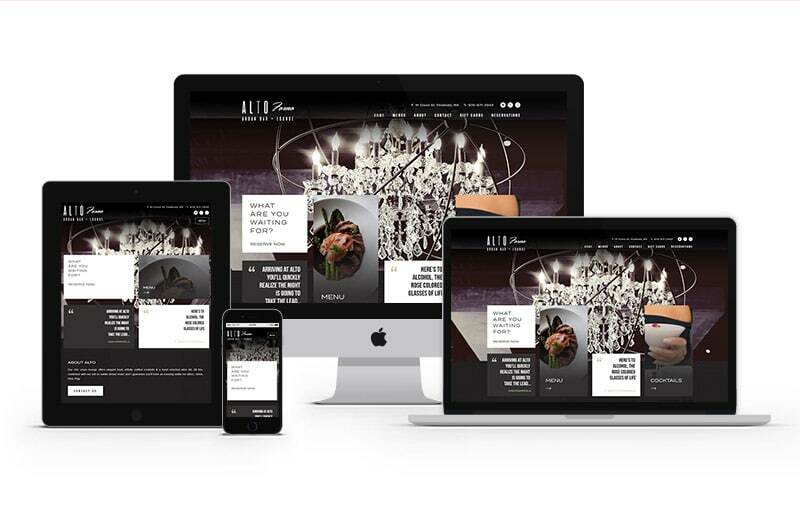 All of these details add up, making the new site a step above, just like Alto Forno.